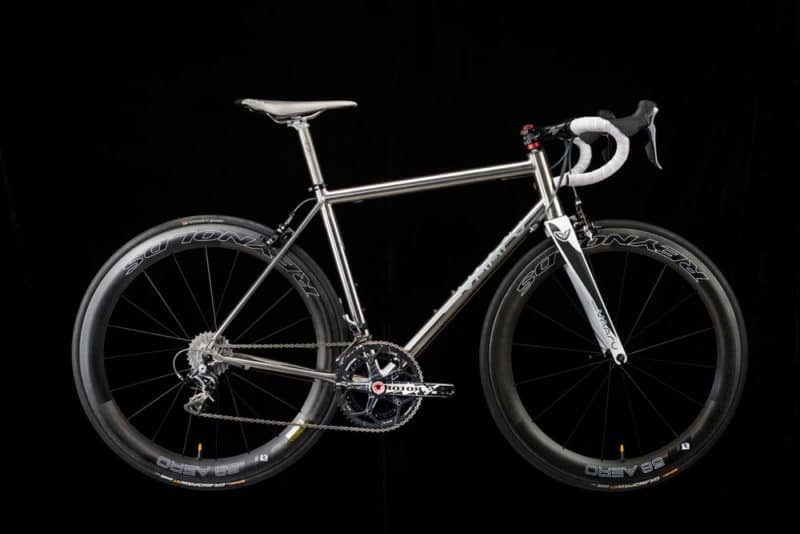 The Octane 6-4 is our flagship road cycling frame at VAARU Cycles. 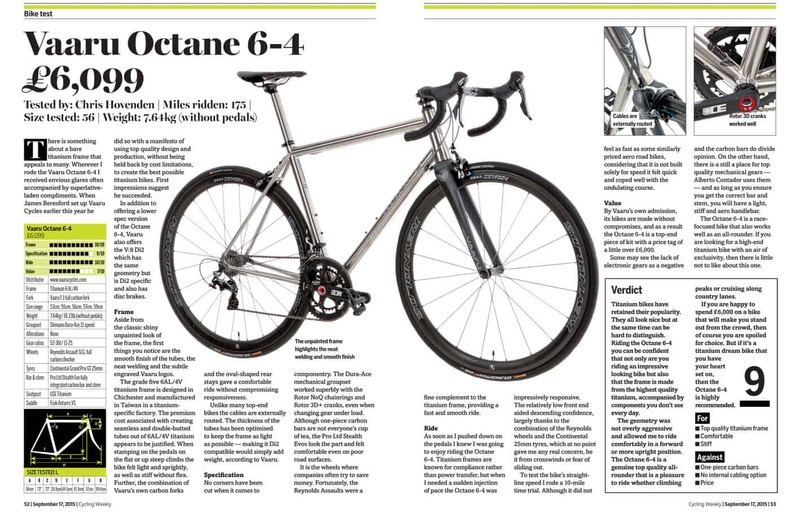 Precision engineered out of 6AL4V aerospace-grade titanium, the Octane 6-4 was rated 10/10 for frame and ride quality by Cycling Weekly. 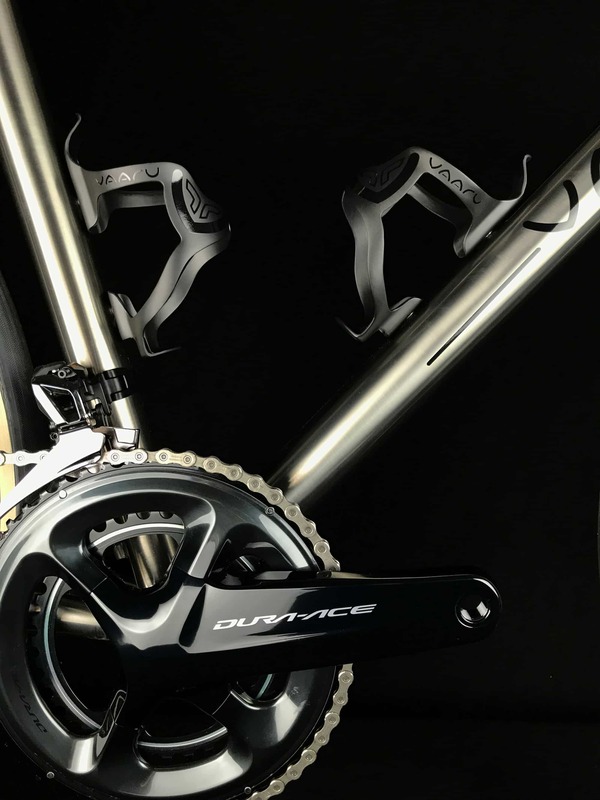 This frame has been designed for fast cycling with traditional smaller diameter tubes but utilising the extra stiffness and fatigue resistance inherent with 6Al/4V allowing frame weight to be reduced by up to 10% whilst retaining the a unique ride quality of titanium. 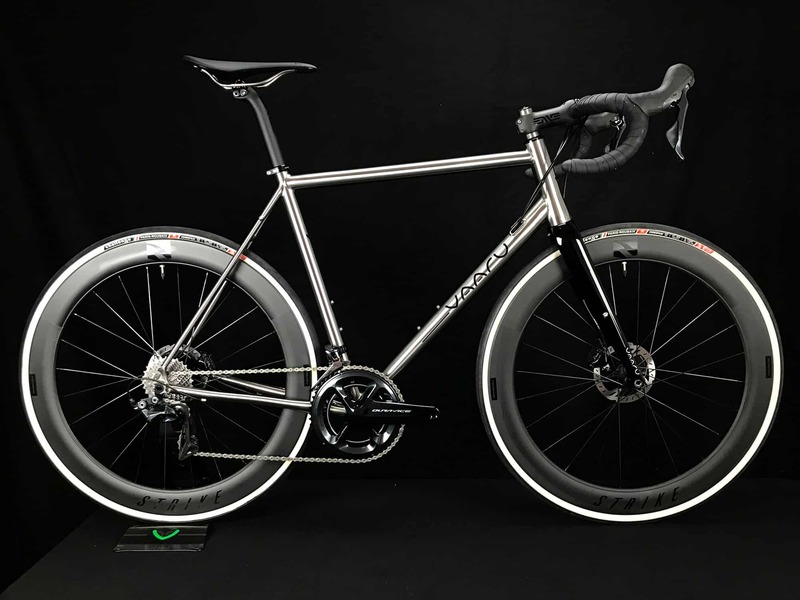 The Octane 6-4 is available as Frame Only (including frame, headset and seat clamp), Frameset (including frame, headset and seat clamp and F:1 forks), Rolling Chasis or Fully built in a variety of finishing kits. Please contact us if you would like a custom build which we can also offer. Please see the tabs below for geometry, build options and our press and customers’ reviews. 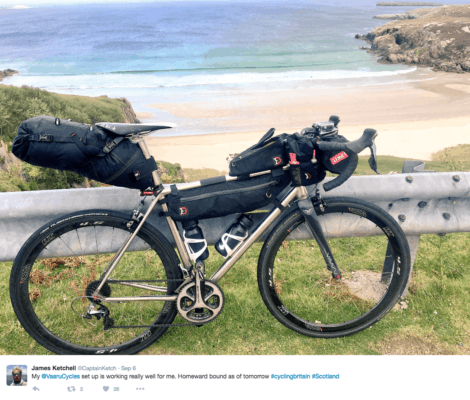 Why choose a road bike that’s made of 6Al/4V titanium? 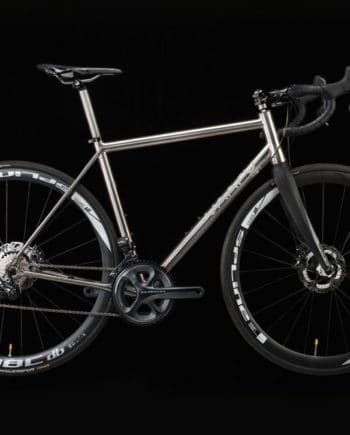 6AL/4V (6% aluminium, 4% vanadium, 0.25% iron, 0.2% oxygen, and the remainder titanium) titanium is lighter, stiffer and stronger than 3Al/2.5V, it has the added benefit of unmatched fatigue resistance and very high strength-to-weight ratios. With these properties in mind, a lighter, more durable frame can be made still giving a compliant yet responsive ride quality. Match the Octane 6-4 tapered headtube with the VAARU tapered full carbon F:1 forks for a responsive ride. 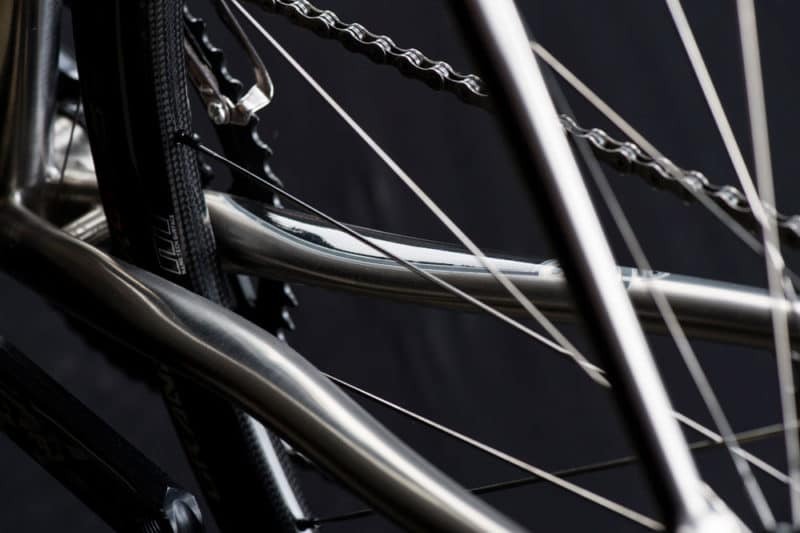 The result is a much more flowing design, the larger diameter tubing used on the down tube and the smaller diameter on the toptube merge into the tapered headtube perfectly. Weight saving has been maximized by taking the wall thickness down to a minimum. It also accepts a drop in headset which gives the user ease of servicing and replacement. The final touch is the 5 axis CNC’d VAARU logo, a proud touch to show the sign of quality and effort in producing every VAARU frame. Double butted tubing has been used throughout the Octane 6-4 frame. The benefit of butted tubing allows the frame to have a thicker wall section in areas where increased stiffness is required whilst having a much thinner wall section in areas of low stress. 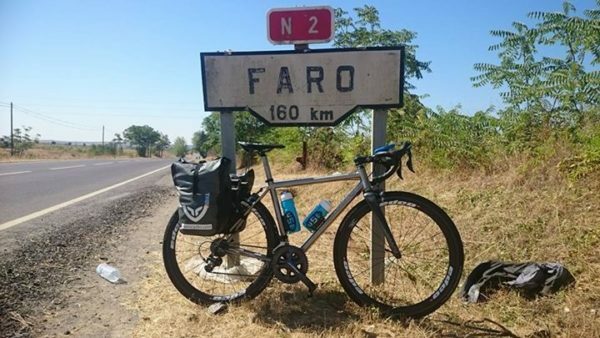 This allows the designer to make the overall frame weight less than that of straight gauge tubing and also able to add different ride qualities by changing the tube profiles. Both the seatstays and chainstays have been 3D formed to give a compliant ride, soaking up lateral shocks and small vibrations whilst remaining stiff when under the stresses of a rider putting maximum watts though the pedals when sprinting. 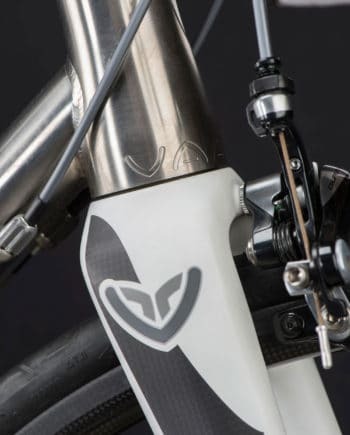 Forged dropouts: The VAARU dropouts on the Octane 6-4 have been forged and post machined to give a low overall weight, a CNC’d VAARU Logo adds a touch of detailed quality. 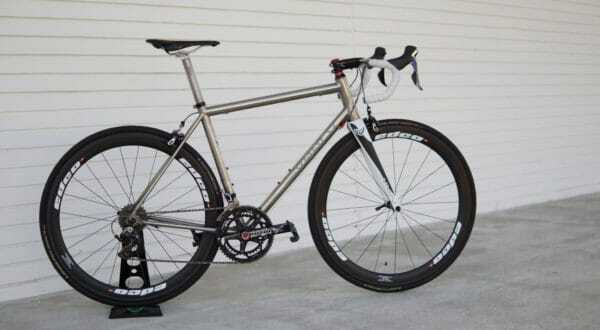 With an overall low system weight when using a 24m axle, the English threaded bottom bracket has been used. Less material, less weight and stiff enough for the most demanding riding.